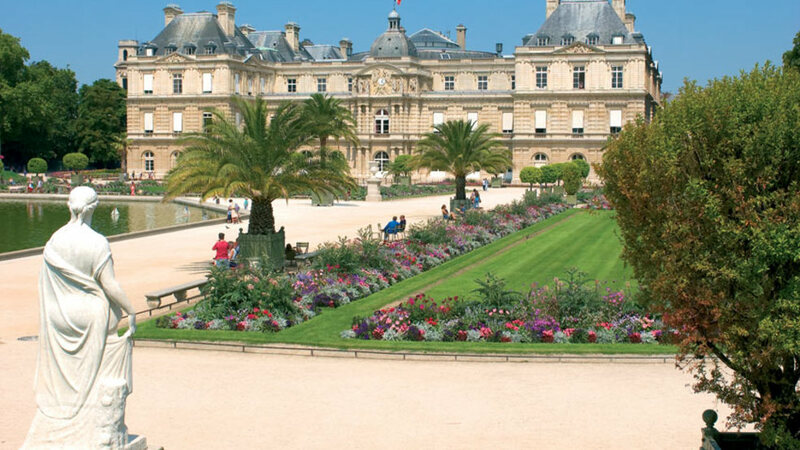 Situated on the border between Saint-Germain-des-Prés and the Latin Quarter, the Luxembourg Gardens, inspired by the Boboli Gardens in Florence, were created upon the initiative of Queen Marie de Medici in 1612. The gardens, which cover 25 hectares of land (more than 55.5 acres), are split into French gardens and English gardens. Between the two, lies a geometric forest and a large pond. There is also an orchard with a variety of old and forgotten apples, an apiary for you to learn about bee-keeping and greenhouses with a collection of breathtaking orchids and a rose garden. The garden has 106 statues spread throughout the park, the monumental Medici fountain, the Orangerie and the Pavillon Davioud. There are many activities and facilities for children such as puppets, rides and slides. Adults, whether they are Parisians or tourists, can play chess, tennis, and bridge or remote control boats. The cultural programme is characterized by free photography exhibitions on the garden railings and by concerts in the bandstand. Price: Free access to garden for all public. Hours: Opens between 7.30am and 8.15am, and closes between 4.30pm and 9.30pm according to season. Nearest Metro: Line 4 and 10 to Odéon station or line B to Luxembourg station. Guided tours led by one of the park’s gardeners are generally available on the first Wednesday of the month from April to October. See the Jardin du Luxembourg website for details. Meeting point: in front of the Observatoire gate giving on to Place André Honnorat at 9.30am. For guided tours in groups, phone +33 (0)1 40 71 75 60.